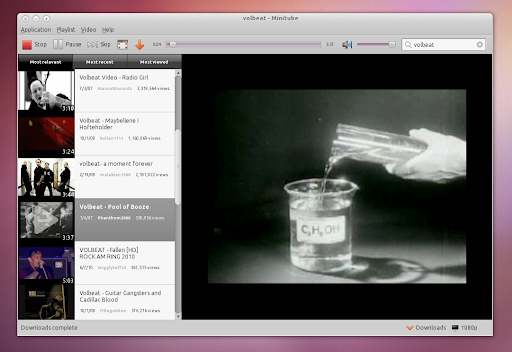 Minitube is an application for watching YouTube without Flash. The videos are downloaded into your ~/Videos folder, but you can change the location once you start downloading your first video (see the above screenshot). Minitube 1.2 is almost ready and you can help by translating it into your languange. Details @ Flavio's blog. Once installed, you can find Minitube under Applications > Sound & Video. If you're not using Ubuntu, you can download Linux 32bit binaries @ Minitube website along with Mac OSX files.